On a recent trip, I volunteered to help with physicals for some aspiring baseball players. Part of the evaluation was asking each person if he used smokeless tobacco, an unfortunately common habit among baseball players. Surprisingly, a good number acknowledged they did. Looking at these young men, with their whole lives ahead of them, I couldn’t keep either my maternal or professional inclinations quiet. “Do you know you can get cancer from using smokeless tobacco?” I asked them. Many didn’t realize this was a possible consequence. “If you get cancer, the surgeons may need to cut parts of your face away,” I continued. As some of the players listened, it was clear that nothing would change. If they were teenagers, they probably would have rolled their eyes at that point. But some of the men looked at me with sincerity through very wide eyes and thanked me for telling them this. Whether it was news or not, it appeared they got the message. Some of them seemed surprised that someone cared so much. When our children were younger, we shared many suggestions with them regarding school, friends, and life. Sometimes they would listen. At other times they ignored what we had to say. And then there were the times they would return from a friend’s home excited about what the friend’s parent had told them – which happened to be exactly what we had suggested a few weeks earlier. Maybe it was easier to accept the idea from someone other than their own parent, or perhaps our comment introduced the idea and the friend’s parent repeated it when our child was more ready to hear it. As healthcare workers, we have an opportunity and a responsibility to advocate for good habits among our patients. We can and should let our patients know when we feel their behavior is compromising their health and what they might do instead. While it usually takes more than one explanation to make most patients change their behavior, each voice adds another reason why the person should at least consider making the change. It’s easy to become discouraged when we already feel we don’t have enough time with patients or when our advice isn’t heeded. I recall one patient who repeatedly declined my treatment recommendations. At each visit, he would ask, “How long do I have to keep ignoring your advice?” With other patients, their habits might be causing poor health but they refuse to change. An old acquaintance who was morbidly obese asked for a recommendation for a new doctor. “And I don’t want anyone who will tell me to lose weight!” she demanded. For these patients, we need to find a nonjudgmental way of approaching them, their health and their resistance, usually after we have established a relationship and shown that we are truly concerned for their welfare. Whatever it takes, it’s worth the effort. We don’t want to allow this important role to be lost as we struggle with shorter patient visits and “meaningful use” requirements. Patients should see our profession as a source of knowledge and encouragement that can lead to better health. We should always be a strong voice fighting for our patients, sometimes even against themselves. 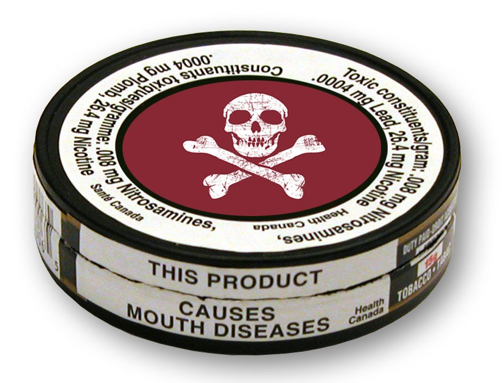 It remains to be seen whether any of the ball players will stop using smokeless tobacco. But I’m happy that I added my voice in taking a stand for their health. There’s a sense of integrity in advocating for our patients’ best health and in being part of a profession that serves that function for each patient and for society. And just maybe, knowing that someone cared enough to educate and confront them will make the difference and help them make better health choices. This entry was posted in building relationship with patients, effective communication in healthcare, physician coach, physician coaching, physician communication and tagged Building relationship with patients, communication in healthcare, leadership, physician coach, Physician coaching. Bookmark the permalink.